Mumbai taxi app: Just like the Ola and Uber, Mumbai’s iconic kaali-peeli can now be ordered from the comfort of your home through the ‘Aamchi Drive’ mobile application. The app, available for use in app in Marathi, Hindi and English, launched today to make kaali-peeli taxis available at government-approved rates even for short distances. The application, which is an initiative of the Kaali Peeli Taxi Union and the Mumbai Taximen’s Union, is an effort to tackle the competition from Ola and Uber. The non-air conditioned kaali-peeli taxi rides will be operating at the rate of Rs 22.15 for the first 1.5 kilometres and Rs 14.84 for every kilometer. The air conditioned taxis will cost Rs 28 for the 1.5 kilometres and Rs 18 for every kilometre after that. 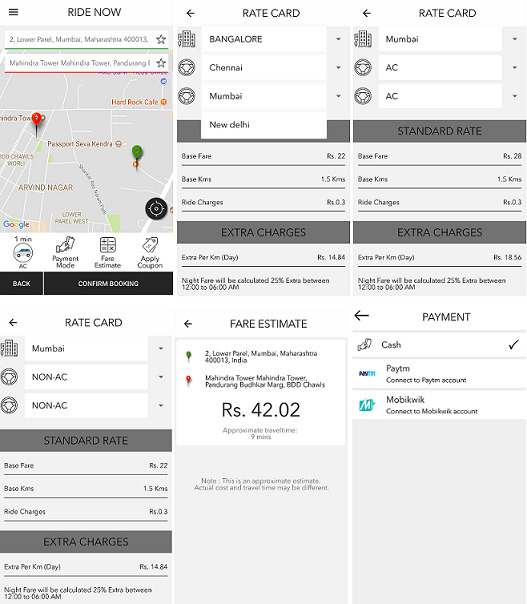 The app’s user interface is similar to other cab aggregators in the city, where one can just input the destination and it will send your request to all registered taxis in your area, apart from showing the fare estimate, payment options and other details.